Wow! It worked. 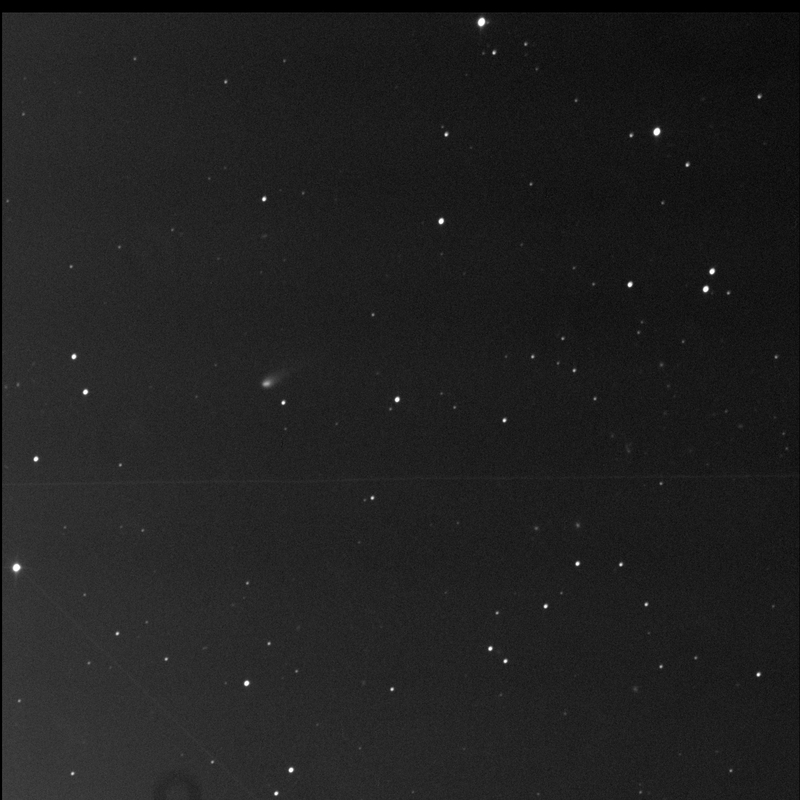 I was able to image comet C/2015 V2 (Johnson). I programmed the Burke-Gaffney robotic telescope by centring on the star GSC 03451-0919. With the elevation restriction applied, I hoped it would capture the comet after 5:00 AM ADT. Tiny little thing. With a tail, even! The comet is slightly left or east of centre. The elongated core of the comet shows the relatively slow motion, from right to left, or west to east. The comet was right where it should be, accurately predicted by SkyTools. Slowly drifting through Ursa Major. 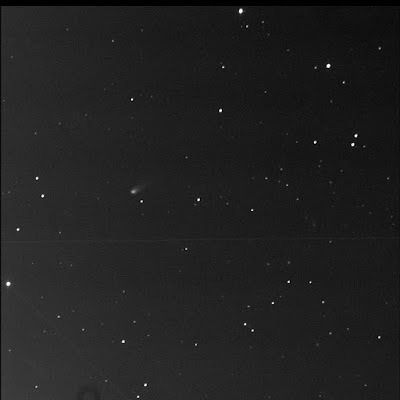 North of a comet is a faint fuzzy streak. It appears to be angled in the direction the comet is moving. It's a random faint galaxy. LEDA 2308346. To the south-west of centre are two small round and slightly oval fuzzies. LEDA 2305554 and LEDA 2305602. They are just above an arc of stars. Further to the south-west, just below the arc, is LEDA 2304152. West of centre is a stretch mottled fuzz patch. LEDA 2306379. Between this and the two bright in-line stars is a bright but small fuzzy LEDA 2307244. Are those stars or a dozen galaxies. Huh.